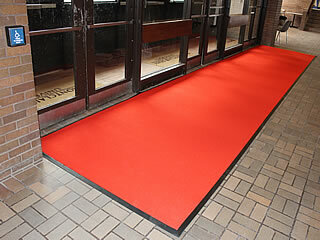 Description: Perfect for indoor and outdoor applications in high traffic, commercial or residential entry ways. 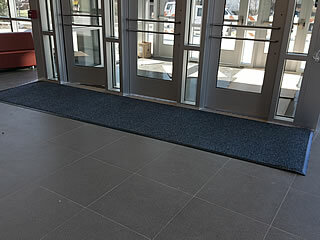 These handsome & sturdy entrance mats are crafted from materials that are able to withstand the rigors of demanding weather and climates while protecting your floors. If you've got a unique space which requires a mat of a non-standard dimension we are able to custom cut practically any shape imaginable. 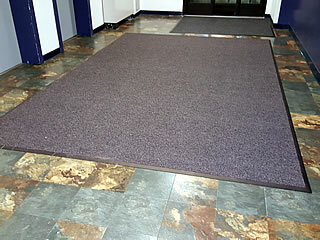 Industrial rubber backing is guaranteed to lay flat and will not crack or curl. 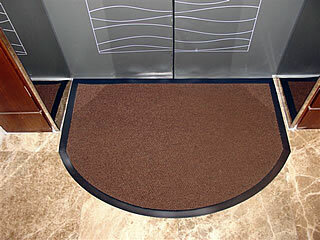 These mats feature a 1-1/2" beveled safety border made from solid core vinyl which is permanently glued and sewn at the time of manufacture. 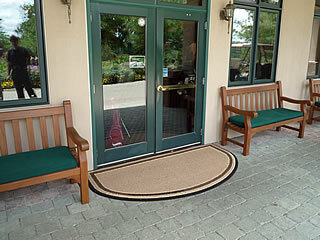 Recommended Use: These extra rugged commercial entrance mats are ideal for any indoor or outdoor location. 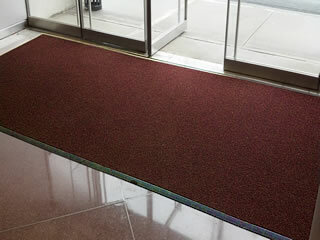 These entry mats hold up very well at hotels, resturants, exhibit halls, concert areanas, theatres, educational facilities, shopping areas, military installations, municipal buildings and more.